The Avenger Series has always been highly anticipated amongst the superhero and comic book fans alike because it brings together the most popular characters of the Marvel Franchise and let’s be honest The Avenger Assemble didn’t disappoint so why would Age of Ultron? 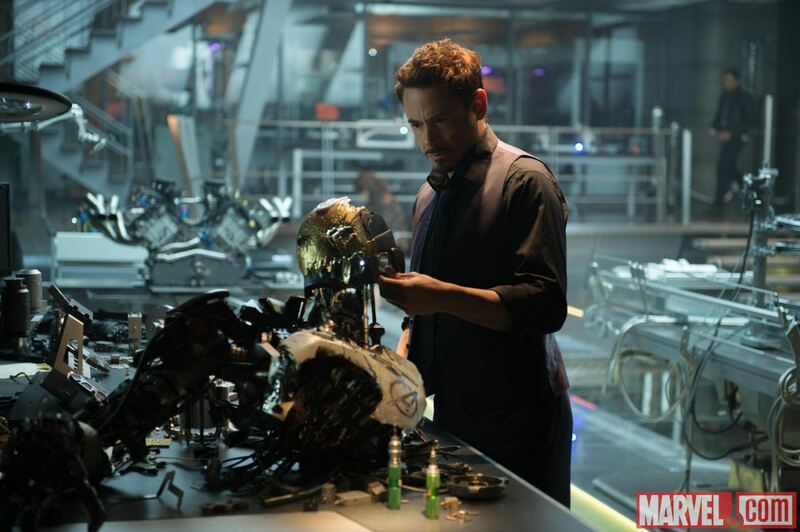 The movie starts with the Avengers all coming together and to fight a creation of their own, due to the fact they stumble upon another form of Artificial Intelligence other than Jarvis you see the greedy in certain people, mainly Tony Stark who convinces Bruce Banner that this A.I. would be the best thing for earth. Bruce and Tony end up going to a party to celebrate after the success of recovering such an artifact leaving Jarvis to carry on the work. As the party gets to the stage where people try to pick up Thor’s hammer and seemingly all good, Iron Man’s army comes up and turns on them as the A.I. that was found was stronger than Jarvis or so it seems, and has resulted it being about to morph itself into the Iron Army. The new entity is after world peace, the same as what The Avengers are after and it is considered the end game, which is why Stark pushed so hard to use the new A.I. but in order to get World Peace or even Universal Peace it saw The Avengers a threat to that, which in turn meant that it’s main goal was to destroy them. It enlisted the help of two new characters that have special powers, a brother and sister which if I am honest I think they came as a package and the real power was the sister. The Scarlet Witch had telekinesis powers and the A.I. had the sense that just destroying and defeating The Avengers wouldn’t be enough because the public would see them as martyrs and cause an uprising not actually adopting the new A.I. as the new protective power to keep peace. It was interesting to watch as they were played off against each other, and even though they knew what what the enemy was trying to achieve they still took Bruce Banner with them even though he is part of the team you have got wonder where the sense in that was, as someone who can’t actually control their powers and it is being driven by anger there was a self destruct button there with a huge warning sign. Overall I would say that as with all sequels it just wasn’t quite as good as the original of its generation, but I would say it’s still a must watch because it explored the individuals personalities more with some awesome action scenes and left you wondering what was next for The Avengers. Mainly due to the fact that there is now a new class but you got the feeling although done and a fitting end to some of the old class that they could just come back at any point in time. This movie had some great comedic points along with that everlasting question of what is going to happen next. When asked what I’d give this movie I originally said 8/10 but I think on reflection it will make it up to 9/10. If we don’t see some of the original class again well done on an amazing run.